Mozart mania descends in March with Asheville Amadeus, a weeklong celebration of the life and music of composer Wolfgang Amadeus Mozart. Conceived and coordinated by the Asheville Symphony Orchestra, this unprecedented festival involves more than a dozen community partners presenting formal and casual concerts, lectures, theatrical productions, a chorus sing-along, a piano master class, and an Austrian-themed luncheon. There’s even a commemorative beer, Wolfgang 1756, crafted by Highland Brewing Company. 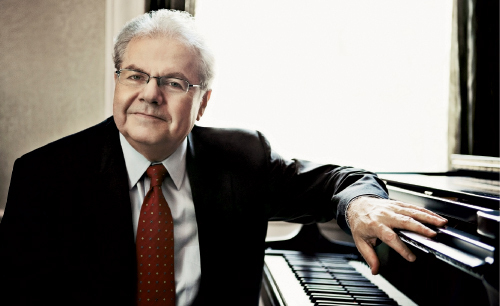 The festival centerpiece is a residency with classical music superstar Emanuel Ax. The seven-time Grammy-winning pianist will play a solo recital at Diana Wortham Theatre and the finale concert at Thomas Wolfe Auditorium, where a special stage projecting 36 feet into the audience will be installed with onstage seating for some 100 lucky patrons. Other festival highlights include an opening night concert with the renowned Brentano String Quartet; a co-production by NC Stage and Asheville Community Theatre of the Tony award-winning play Amadeus; Asheville Lyric Opera’s production of Mozart’s comic opera The Impresario; Pianoforte: Homages to Mozart, featuring young pianists at the Asheville Art Museum; and Deconstructing Mozart, a behind-the-notes look at Mozart’s iconic “Eine kleine Nachtmusik” with composer Nathan Shirley and a string quartet of Asheville Symphony Orchestra musicians. Family events include Eine Kleine Kinder Musik, an interactive workshop for the pre-K set, Leopold Mozart’s Toy Symphony, performed by the Asheville-Buncombe Youth Orchestra, and an educational concert by the Blue Ridge Orchestra.